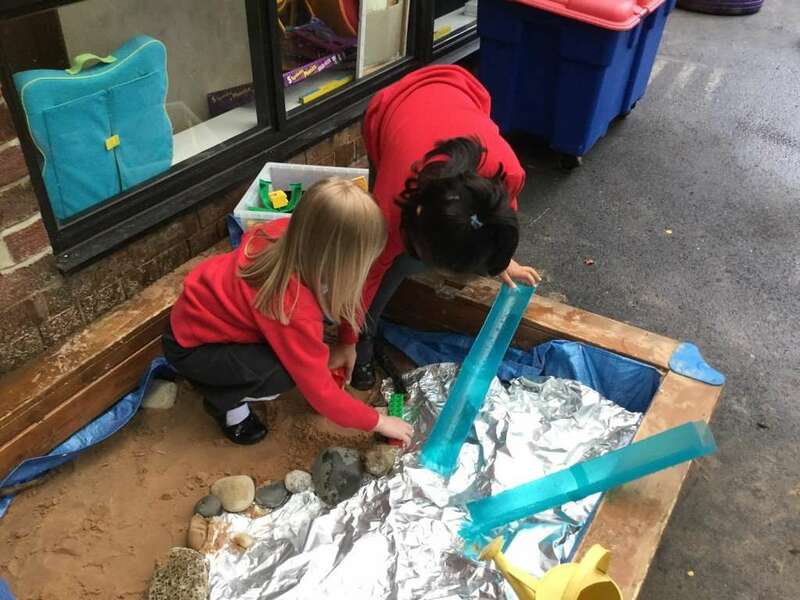 There was a challenge in the sandpit this week- to choose and use materials to make a barrier so ‘the sea’ didn’t go onto the sand. The girls chose to use rocks. They moved the rocks and pebbles to the sand edge. They used the sticks as well and then tested the barrier by adding water. They found that this approach was mostly successful, but there was a small gap where the water was trickling through. The girls decided to use more rocks and pebbles and Duplo to form a wall before filling up the watering cans and testing the barrier again. 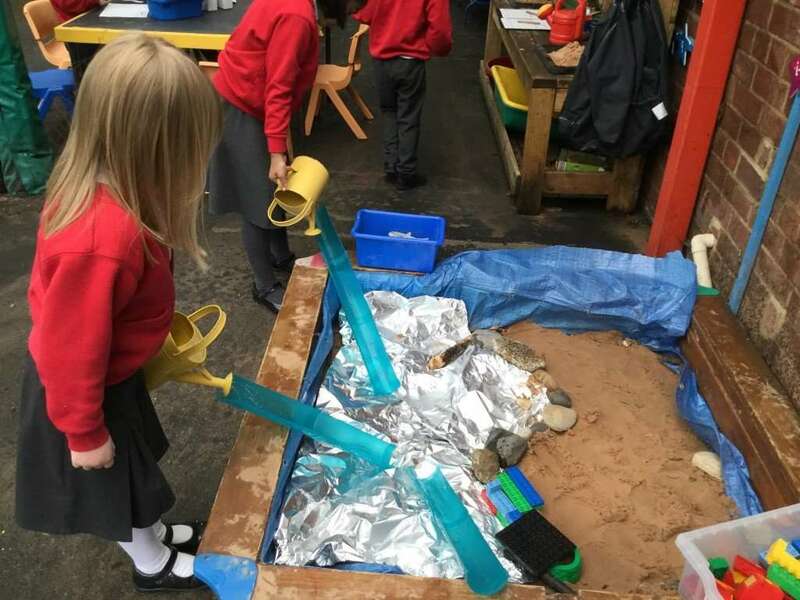 They watched as the water poured in ‘the sea’ and were happy that the barrier was working and they have completed the challenge. Well done girls!